Where to start with this amazing book? For me, you can really see with this story how Clarke differs to Asimov in his writing style (and also how their strengths differ). Both are amazing writers, but I think Isaac Asimov created better characters and his books have superior dialogue. But Clarke's ideas and hard scientific approach (especially in this book), just blow you away. 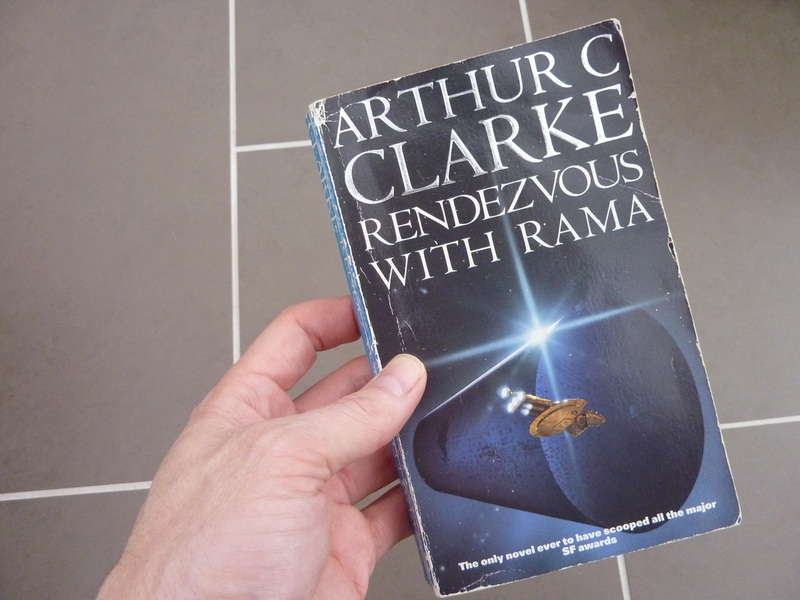 One thing that Clarke does have in common with Asimov (certainly with this novel) is that his writing is very clear. The book is very easy to read with short chapters and yet it is incredibly evocative. As the characters enter the 'craft', in your mind's eye, you will be right there with them. To the right is my paperback copy. 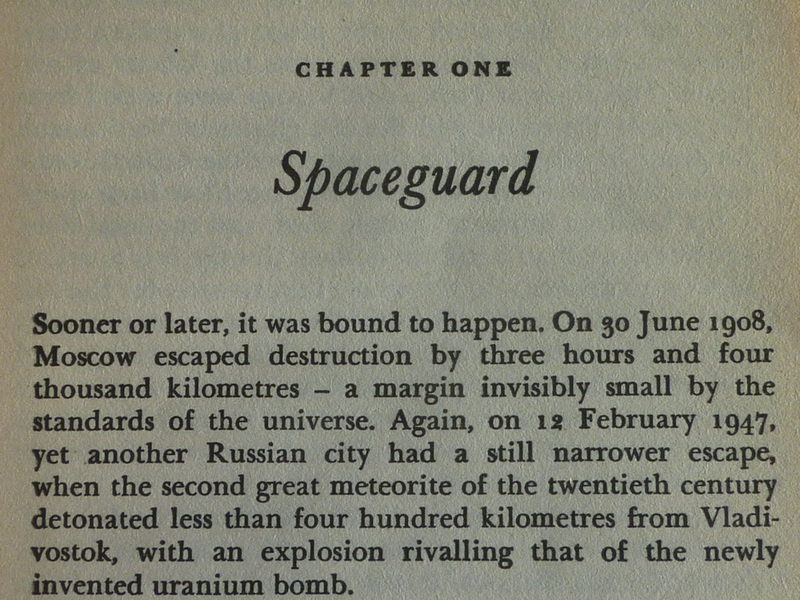 Is this book the best example of 'hard' science fiction I've ever read? For me, yes. What do you think? I think one thing is certain, once you start this book, you will not want to stop! If you have even a passing interest in science, space flight, NASA, the future, then you will love it. I know that many people do not read 'science fiction' because they feel it is too unrealistic. It has no grounding for them. To those people, I say you have never read 'hard' science fiction. 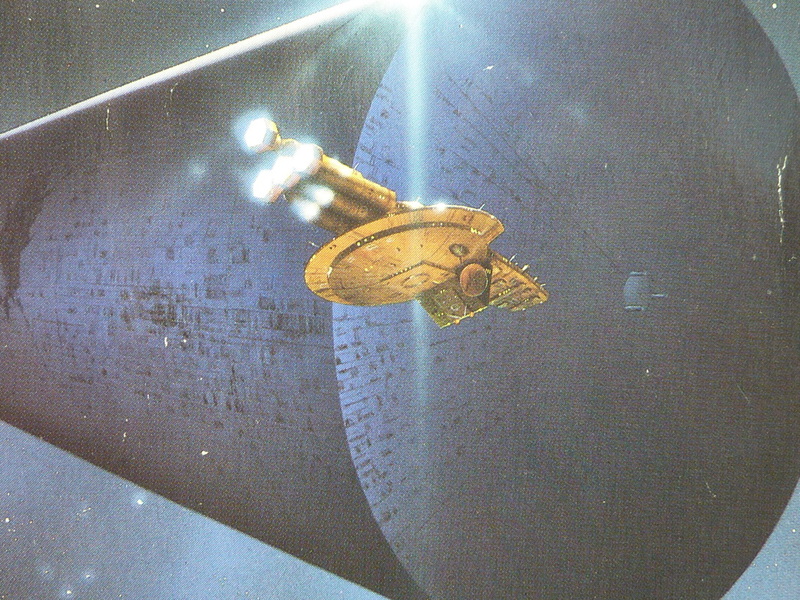 Not all Sci-Fi is about ridiculous bug-eyed monsters and preposterous planets with meaningless technology. Give this book a try! It is such a simple read, and yet the design and description of the alien 'artifact' is awesome. The world really did lose a colossal imagination when Clarke died in 2008. I love the cover illustration from my paperback copy. Despite many re-printings and various other cover designs, this one remains my clear favourite. Once you have read some of the story, you can gleam some details from the image. Such as the great 'stain' on the side of the craft, the North 'Pole' etc. Whoever it was from 'The Times' that said, 'Quite Masterly' got it bang on! When you finish this book, you will almost certainly want to read the sequel, 'Rama II', which to be fair, is also a very good book. However, like most sequels, it reveals a lot more information and goes a lot deeper into the craft, providing a lot more detail. Now some people might prefer this, but for me, none of the sequels (there are three altogether) can rival this first book for sheer majesty and wonder. 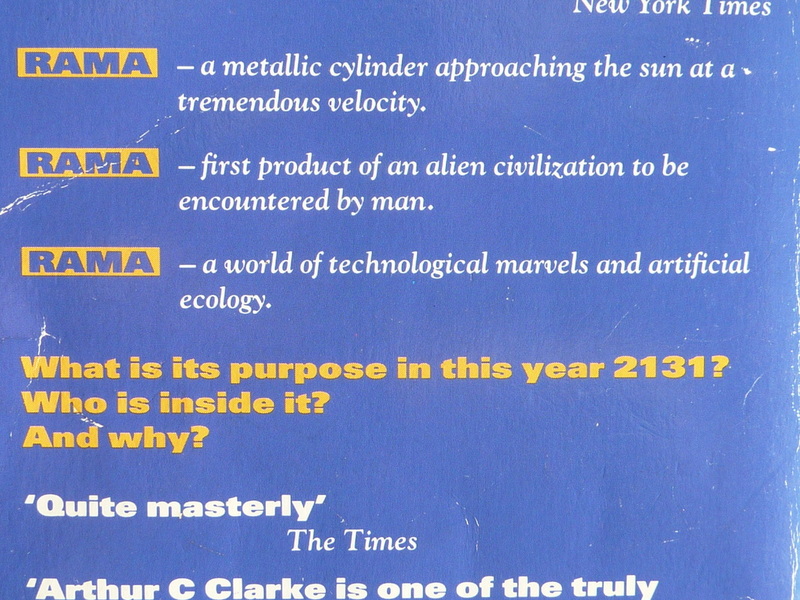 All three subsequent sequels to this novel were co-written by Clarke alongside Gentry Lee. The style and tone of these books therefore differs quite significantly. Having said that, 'Rama 2' is the best of these and is very much worth reading. I have more to I want to say about this book! Check back soon!..